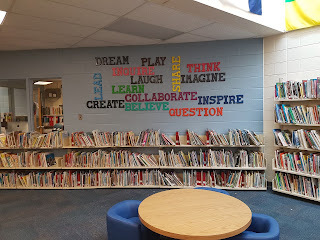 We are excited to be starting our library upgrades along with other upgrades to our school. 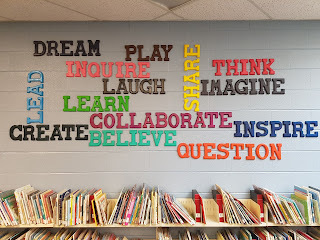 We completed our refresh painting in the room and moved our shelves. 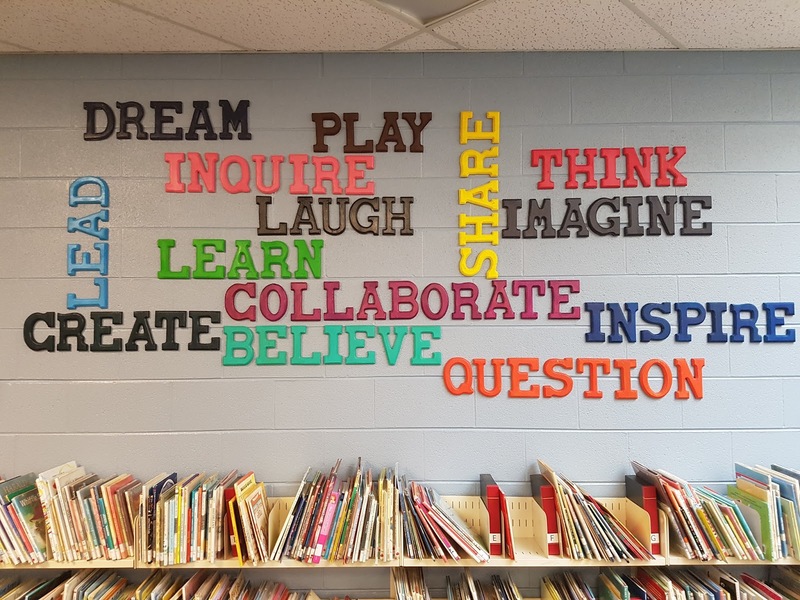 We are particularly excited about our new accent wall decorated with many words that represent our school and our work with our students. We think it looks great! Thanks to Ms Osborne and Mr.Tamblyn along with our student library helpers for their work towards making our Learning Commons a terrific learning space for our students and staff.